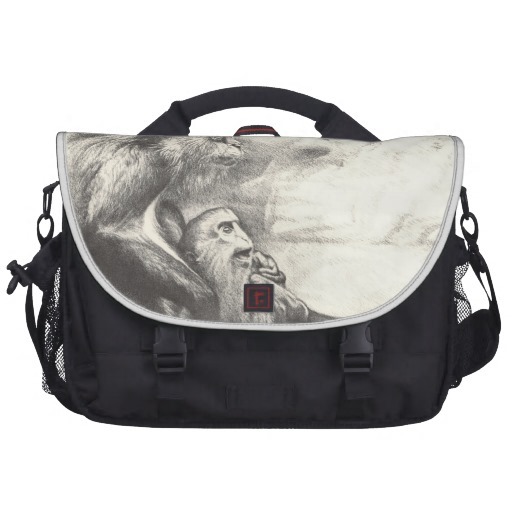 Rickshaw Commuter Laptop Bag With the Rhesus Monkeys. Water resistant, extra durable construction. Holds up to 15" laptop (sleeve included). 2 large front pockets and rear organizational pocket. Magnetic silencers, Velcro, & clip flap fasteners.. Wallpaper and background images in the Handbags club tagged: commuter laptop bag rickshaw laptop bag laptop bag bags rhesus monkeys style. This Handbags photo might contain mochila, mochileiro, packsack, kitbag, saco de kit, kit bag, mochila, and bolsa de ombro.